Solar power is a cost-effective way to replace many miles of expensive power lines stretching out to the remotest areas of the country, and a Durango startup wants to show rural utilities the photovoltaic savings. Electrical engineer Jeff Berman founded Distributed Energy Strategies to work for rural electric utilities and to help them identify remote areas that could be better served by systems that use solar panels and batteries. The company will also design, build, finance and operate the systems. “The biggest competition we have is simply the status quo,” said Berman, who specializes in photovoltaic systems. Berman was one of six company founders who presented at showcase Wednesday held by the Southwest Colorado Accelerator Program for Entrepreneurs for its recent graduates and for other local startup companies that have new ideas to pitch to investors. SCAPE is an intensive six-month program that provides an equity investment and mentoring to entrepreneurs to help them develop a product, launch it and find investors. It is supported by investors, local businesses and the Colorado Office of Economic Development and International Trade, Region 9, La Plata Economic Development Alliance, the city of Durango and the Small Business Development Center. The program, founded in 2013, has launched 19 companies that employ more than 60 people. At Wednesday’s showcase, the program invited investors and the public to hear pitches by local entrepreneurs. If any idea interests someone, they can choose to invest in the business. Berman said many rural electric utilities don’t recognize that distributed energy systems can be much more cost-effective. “The market is vast,” he said. In some areas, remote power lines serve so few customers, they lose money. So in cases when aging lines need to be replaced, it makes financial sense to instead use a distributed energy system, he said. Distributed generation can also improve reliability, reduce safety risks and improve customer service. The systems can also be installed to power routers and other communication devices needed in remote locations for smart meters that transmit electrical usage back to the utility. Berman’s company expects to sign a contract with its first rural utility soon. The staff is also talking with a national trade association to develop educational materials for the distributed energy systems. 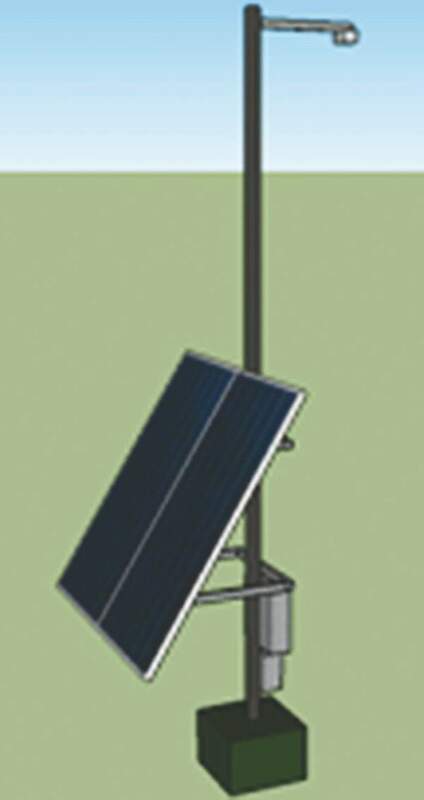 Distributed Energy Strategies plans to build solar-powered systems to serve remote areas. The systems would include batteries and backup generators.